Dry Stack Dry Dock | Hindson Marina Inc.
Dry Stack or Dry Dock is similar to a valet service for cars, providing a catered indoor or outdoor storage system for your boat. A safe and secure option. When you want to go boating simply call Hindson Marina at least an hour before you plan on visiting the marina and your boat will be launched and ready to go when you are. 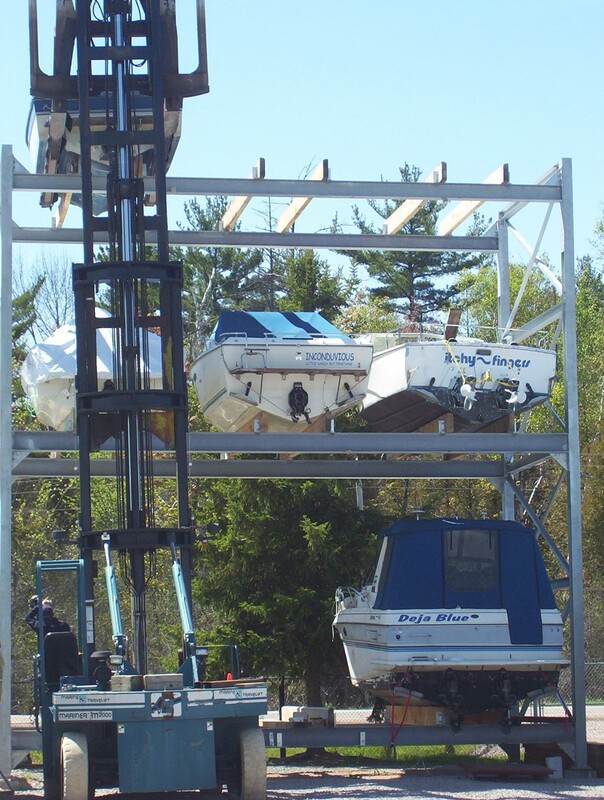 After each use, your boat is power washed and returned to the dry stack storage rack. At Hindson Marina your boat is in good hands. Our forklift and hydraulic trailers will safely move your boat from storage to water and back again, giving you peace of mind. If you enjoy boating and don’t require a slip, nothing rivals the economy, convenience, and time savings you gain through Hindson Marina’s dry stack storage system. Call Today to Launch Your Boat!